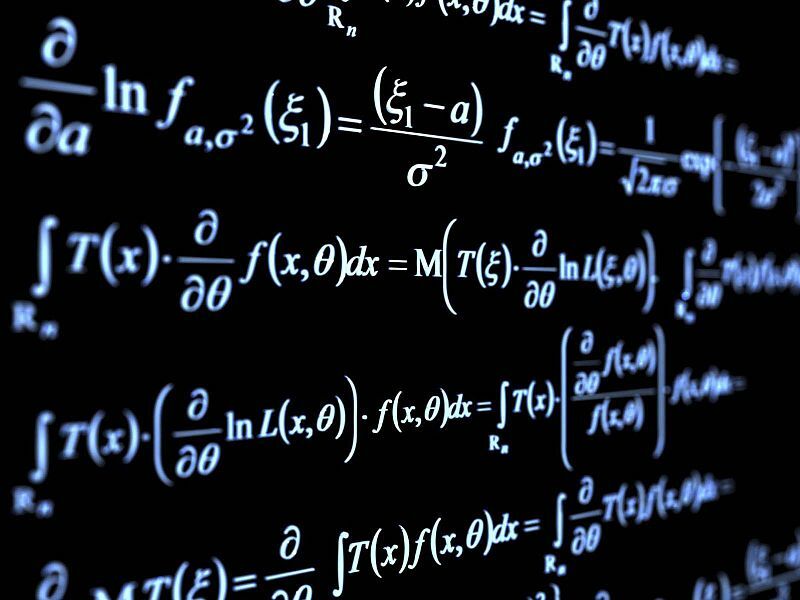 Guest Post by Robert Ward: What is #mathematics really? I want to introduce the notion of the guest-post to this blog. Not new to blogs, but new to this blog. It’s an idea that has floated in my brain for a while. But hey, I am busy and the content and connections came slowly. This essay by Robert Ward reminds me of a Montaigne-sque personal touch on the technical art-essay as penned by Jorge Luis Borges. It works with the historical as well as the playful and abstract. He touches in ancient Egyptian math, its inspiration from maat (deeper order) and dreams of the future mathematical possibilities. I feel this little text is a micro-imaginary library in that most Borgesian vein and should be included in this blog. Enjoy! “What is mathematics really? The ancient roots are in Egypt when they noticed the order of order – also called deeper order. This order was expressed in architecture, math, music.. which are seen as a triple expression of deeper order (maat) of the cosmos. Music has structure, hierarchy, cycles and our mind follows these patterns. Music pleases us because it is highly organized. In fact, the reason it effects us so emotionally is because it was the precursor to language itself. We were singing to each other long before we were speaking. Just as we use our native tongue to communicate every day, mathematics is likewise a language used to communicate between your subjective mind and objective reality of the cosmos. Like music which is a different representation of the same thing, mathematical language also has structure, hierarchy, cycles. Unlike spoken languages, math is a formal language. Like our written language it is shown in glyphs. This is why professional mathematicians are so creative; they are not writing new sentences they are creating new alphabets! Mathematics as the formal language we study today was invented by Pythagoras after years of study in Egypt. He took the proto-rational understanding of math and rationalized it into the formal language we use today. In fact, Mathematics is the Anglicized form of the title given to his students mathematokoi – meaning a note on the glyphs – they are not neutral. They are either poorly designed or well designed in the spirit of infoviz. For example, doing multiplication and division with the Roman Numeral system required university education, but anyone can do if effortlessly with the Indian Numeral system. Look at some of the glyphs we use today (sin, log, d/dx) are they an aid to understanding or a barrier? The area of interest in Mathematics is not part of some grand unified system of ideas. Instead, like their ancient Egyptian roots, they are a collection of observations about pattern structure hierarchy and relationship that someone deemed worthy of study. Perhaps one day we will completely re-conceive mathematics with a totally new formal language by some future Pythagoras. Until then we have Arithmetic, Geometry, Trigonometry, Algebra, Calculus, Linear-Algebra, Statistics, and other minor fields of inquiry. Arithmetic is kind of like the ABC’s of math. It is the study of quantity transformations, very intuitive to understanding operations. Algebra is kind of like the grammar of mathematics. It contains lots of rules on how to manipulate glyphs in the pursuit of isolating a variable. It also introduces us to the idea of a function and a graph. This is very interesting because it shows us the deeper order in two different ways; visually as geometry or symbolically as glyphs. Finally, implicit in the idea of algebra is statement, usually equality which is the sentence of math. Trigonometry is kind of half-grammar and half shape. This is because it was originally a technique in Egypt, Sumer, and Greece to survey land and navigate using triangles. Today it is still useful because it describes the deeper order of cyclical patterns. The original triangles are just diagrams in textbooks and everyone uses the functions as part of algebra. Geometry, kind of sits off to the side with little connection to Arithmetic-Algebra. Just as Trig can be expressed as part of grammar (Algebra) it can be expressed and even solved without any glyphs at all, but just by drawing triangles. Geometry is the study of shape and is a totally different approach than Arithmetic-Algerba formal language. Instead of glyphs the primitives are drawn out as points, lines, planes etc, and solved that way. Lots of problems are difficult to solve by algebra and easy to solve by Geometry. Calculus is the bridge between the ancient origin of mathematics and the more modern use. In short it studies what our intuition tells us is unknowable: infinity. The infinitely long function on a graph, the infinitely thin slice of a solid, the direction of a directionless point. It uses all the techniques of the ancient maths and expands a new grammar of integrals, differential, and differential equations. It was originally developed to describe physics. Linear-Algebra is part geometry and part calculus. It is one of the higher maths that were opened as a result of Calculus. It uses every part of math described thus far to create simulations of reality. See how the deeper order of the world has been described to such an extent we can create models of the flow of time itself! It is the theory used to program computer simulations of physics used in Engineering. Since the invention of the computer, Linear-Algebra has become super useful to solve by numerical methods. The ancient Egyptians attempted to model the cosmos around them by music, by architecture, and by math. Since the mid-20th century with computers running Linear-Algebra, the Egyptian dream has finally come to fruition. It is now possible for man to make a model of the deeper order of the cosmos. This entry was posted in history, libraries, Mathematics and tagged Guest Post, Imaginary Libraries, Robert Ward.